Solarstone pres. 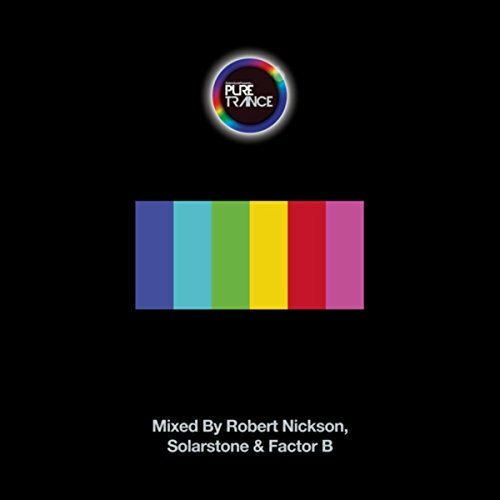 Pure Trance 6 - Solarstone. The Earth’s year ends December 31st. This, we know. Pure Trance’s calendar however resolves itself a couple of months earlier. The end of October is its spiritual nigh, for it was that month six years ago, that Richard Mowatt first drew up the blueprint for Pure Trance. With Volume 1, he cast the dye and placed its foundation stone; purity-absolute has been its unswerving pursuit ever since. So here we are, approaching the end of another P.T. year, ready to witness a new gathering of the Pure. With five titles now under its belt, its honour roll of former mixers is already rich. Trance crusaders Giuseppe Ottaviani, Bryan Kearney, Orkidea, Gai Barone, Sneijder, and Forerunners’ mixes’ have already passed Pure’s litmus. 2017’s draft sees Netherlands based trance-master Robert Nickson and Australian fast-ascender Factor B join its illustrious roll call. Naturally Solarstone is spear-tipping this new puritan assembly, all now ready to ‘preach’ its gospel! The album draws its track weapons from the current and future arsenals of Pure Trance Recordings, as well as a judicious handful of like-thinking labels (Black Hole, FSOE, Flashover and Subculture among them). From their annals music & mixes from irreproachable names like BT, System F, Armin van Buuren, Andain and Three Drives abound. For every legend though, equally there is a rising star. Lostly, Peter Steele, Basil O’Glue, Future Disciple, The Noble Six, Neptune Project and couple of dozen others all bring their latest wares to Pure’s laser. It goes without saying (but we’ll do it anyway) that Robert, Factor B and Solarstone himself have stepped up to the plate with enough exclusives to make a tabloid weep. So hang on tight, its Volume VI time – Vive La Trance!